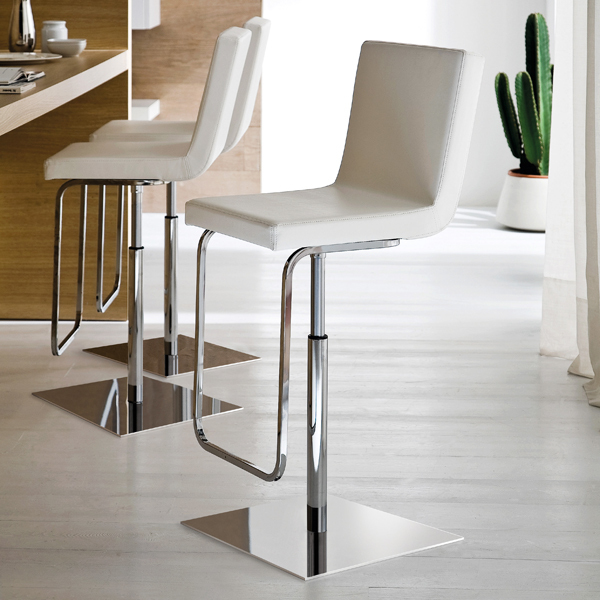 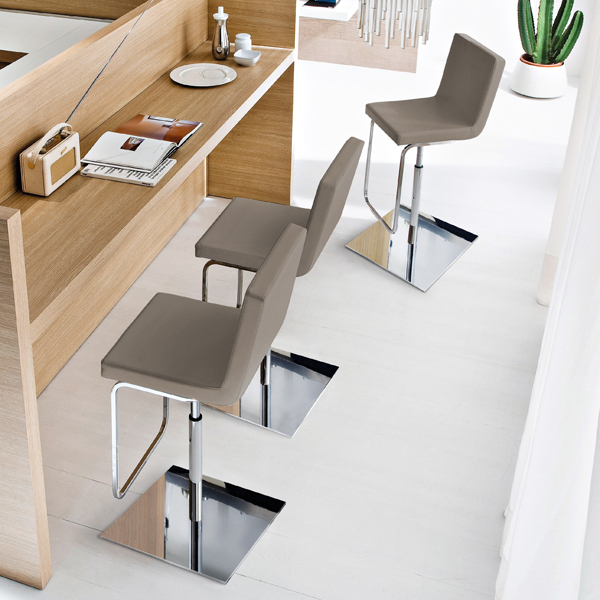 A swivelling stool with chromed base, column and footrest. 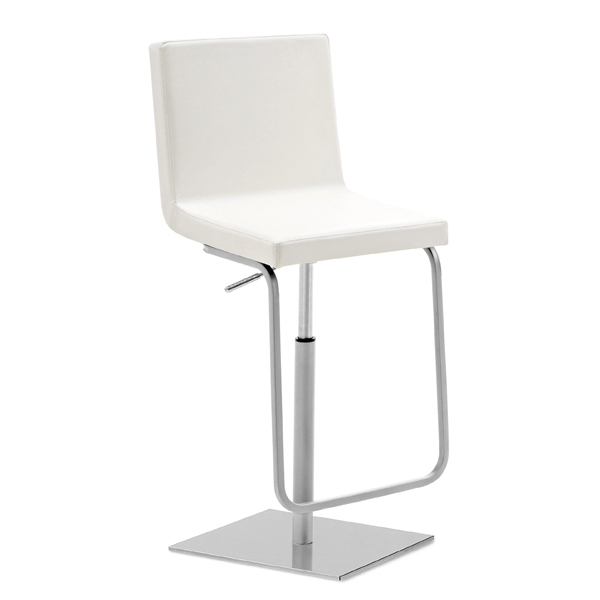 The seat is padded and upholstered in white or taupe material (15% polyester, 85% PVC). 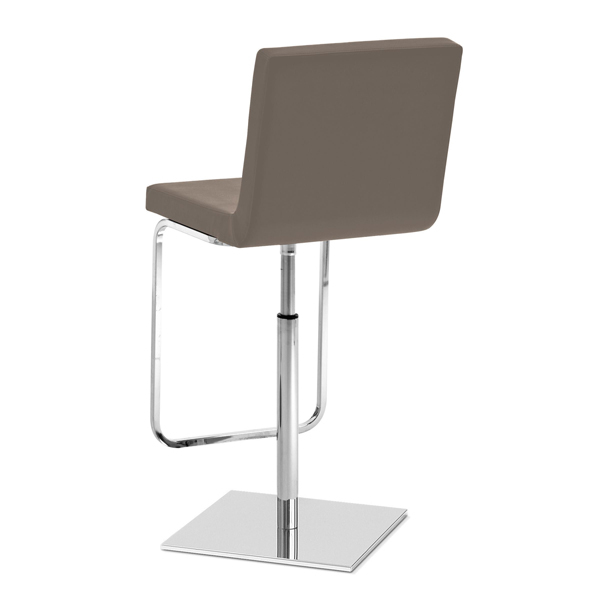 The seat is height adjustable thanks to a gas lift cylinder hidden within the central column.